Whilst it might still be winter, why not mentally escape the chilly days and dark evenings and start to focus on the spring? There are lots of hair trends heading our way, brought to us with the wave of the new season’s fashion looks, and now seems like a great time to try them out. Whether it’s for a night on the town, dinner with friends or just a secret experiment at home, give some of these soon-to-be-hot hair trends a go, and decide early which ones you’ll be rocking this summer. 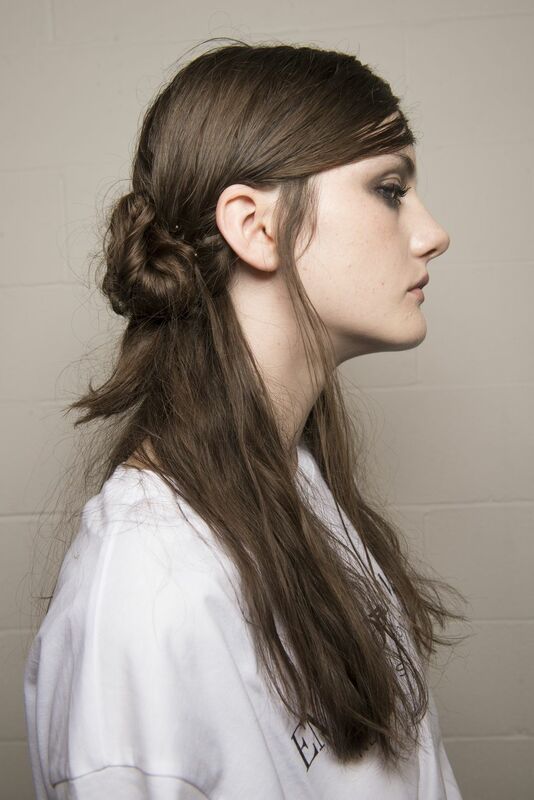 The new season’s take on half-up, half-down hair is to include a low croissant bun with the up half of your hair. Last season, we saw lots of half-up, half-down looks with sky-high buns, brought to us by hordes of celebs; J-Lo, all the Kardashians and the Hadid sisters, to name a few. This season, it’s chicer, more relaxed and little more grown up. It might feel super high school, but thanks to Erdem and Mansur Gavriel, scrunchies and bows will be back for the summer. The timing of this trend means ease by the pool on holiday, but we’re not sure how it will take off at the office. What do you think? 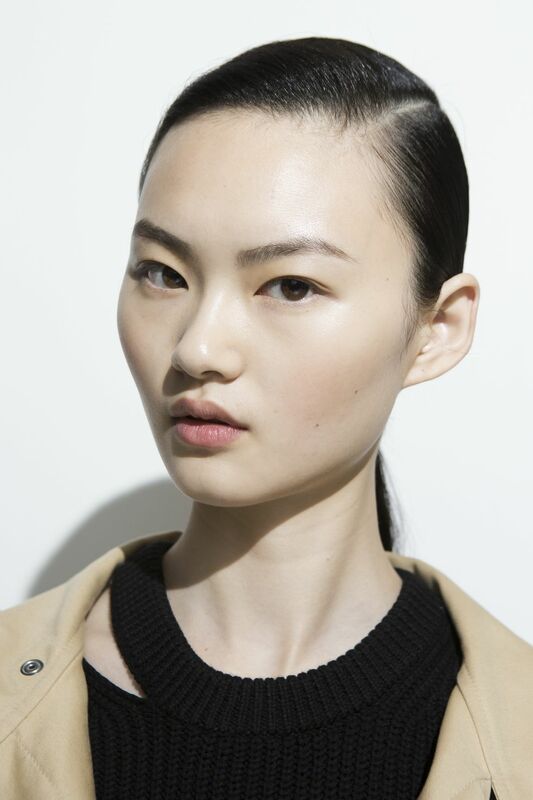 Minimal hair and make-up quite often makes an appearance at Fashion Week. Minimal hair was definitely present for spring/summer ’18, with lots of designers opting for wet look, natural dried and simply styled hair. An exaggerated side part, scraped back into a simple low ponytail, places all the focus on the face, leaving you with a very on-trend beauty look. It’s going to be one of the more far-out looks for summer, but why not give it a go? 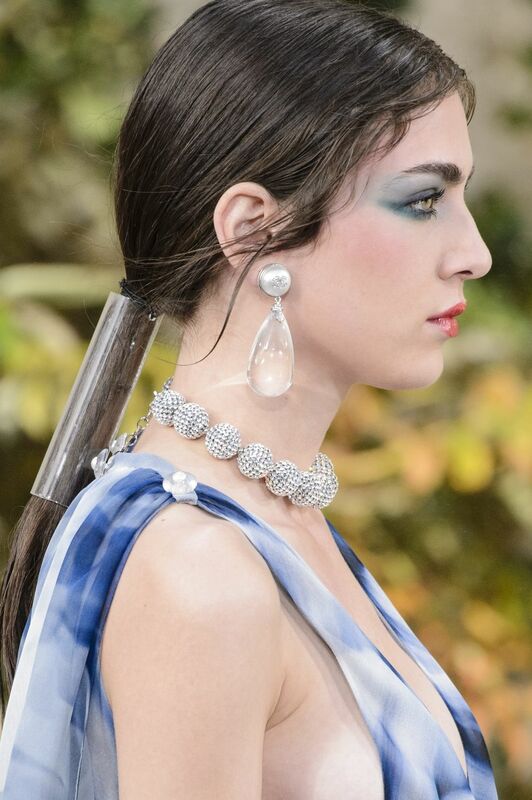 Chanel prompted a Perspex trend, which we’ve seen in shoes recently, but this time it’s all about the hair accessories. Using long, clear Perspex tubes, ponytails were low and wet-look, with a centre part, and scooped up into their plastic spouts. With a nod to retro ‘40’s, this pin-curl fringe look could well take off. With the rest of the hair secured into a chic, low ponytail, the fringe is tonged into a curl, backcombed and then bobby-pinned tight, rolled right up to the root of the hair. 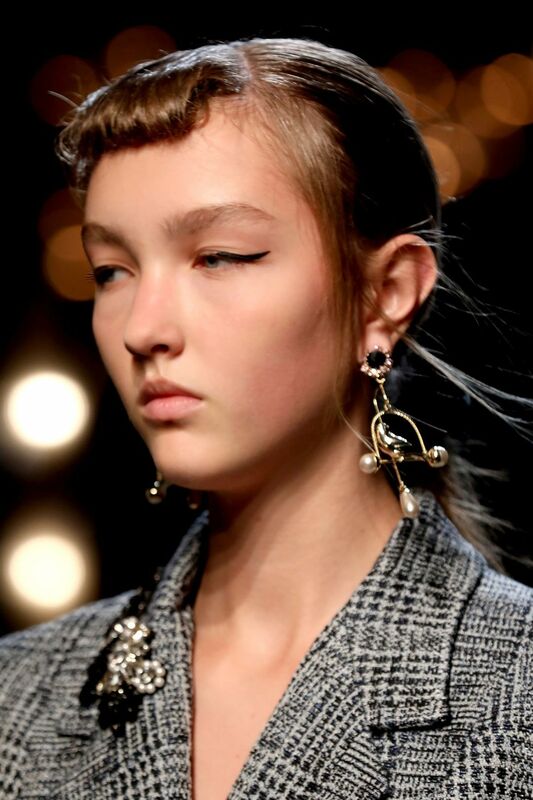 A modern-day take on the era’s pin curl style. 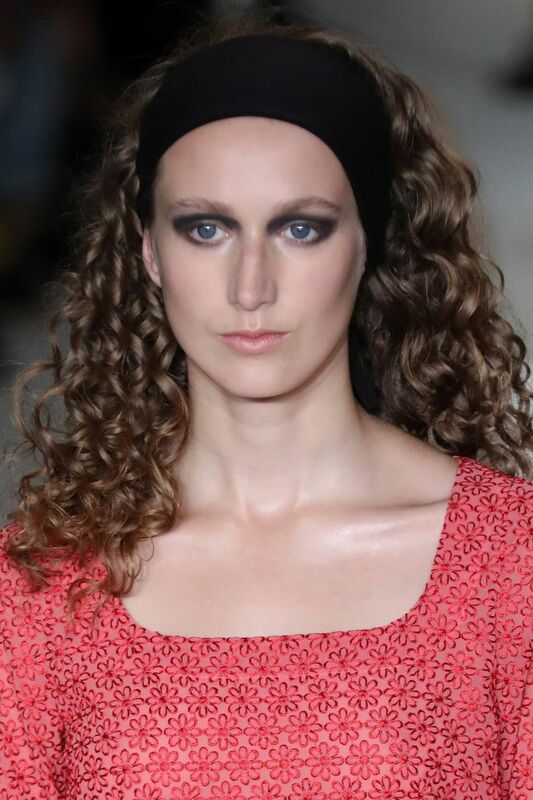 Where brushed out, beachy waves have tended to be the biggest look for the past couple of summers, fashion week instigated a return to tighter, more defined curls. The trend is all about perm nostalgia, which might send some ex-permers screaming in the other direction, but we kind of like the old-school, prom vibes. 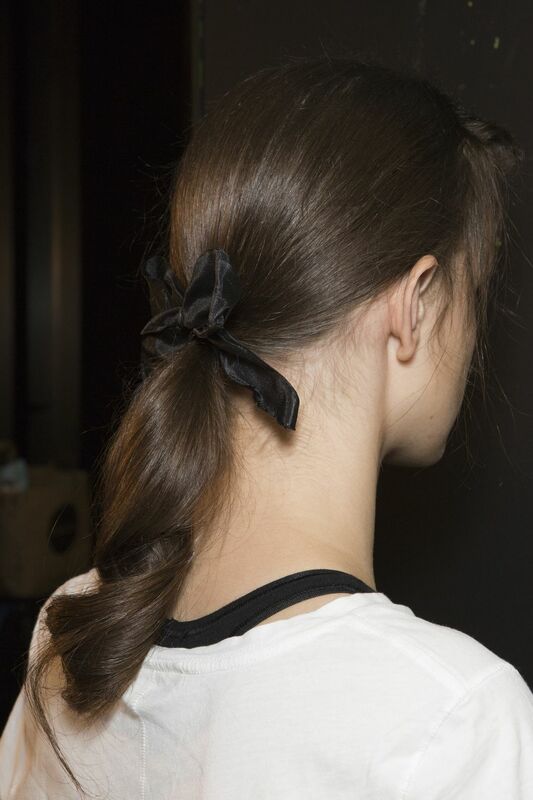 Whether you opt to attempt to achieve a 40’s fringe curl or keep it simple with a high school style scrunchie, these are only a handpicked selection out of the many spring/summer hairstyle trends coming our way, this year. Which are your favourite hair trends to try this season? Share your thoughts with us in the comments on Facebook and Twitter.